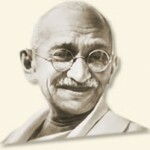 On January 30, 1948, soon after his country’s independence, Mohandas Gandhi was assassinated by a Hindu nationalist. The assassin, Nathuram Godse, was a member of an extremist Hindu nationalist organization. He was angered by Gandhi’s efforts to stop the partitioning of the country into Hindu India and Muslim Pakistan and the inevitable conflict to follow. In his riveting account of the assassination,Gandhi and the Unspeakable, James W. Douglass shows the forces that were arrayed against Gandhi and that hoped, by killing him, to snuff out his vision of peace, nonviolence, and reconciliation. It’s part of a body of work looking at the spiritual powers of truth and love in politics — and how that is confronted by unspeakable evil. 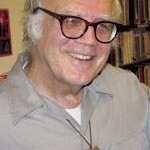 James W. Douglass is a Catholic spiritual thinker and peace activist. His faith and his activism have moved him to explore the assassinations of JFK, Martin Luther King and Malcolm X. Together with his wife, Shelley Douglass, he co-founded the Ground Zero Center for Nonviolent Action in Washington state. In 1997 he and his wife received the Pacem in Terris Award for their work on behalf of peace. James W. Douglass talks about his book, JKF and The Unspeakable. Douglass says, like Gandhi, JFK was assassinated because of how he went against the military industrial complex to, in effect, end the cold war. It all centered around the Cuban Missile crisis. Kennedy was playing a double game: publicly, he was talking tough on Cuba, but privately, he was seeking a rapprochement with Kruschchev. Douglass spoke with WV in 2009. This week we air an excerpt.